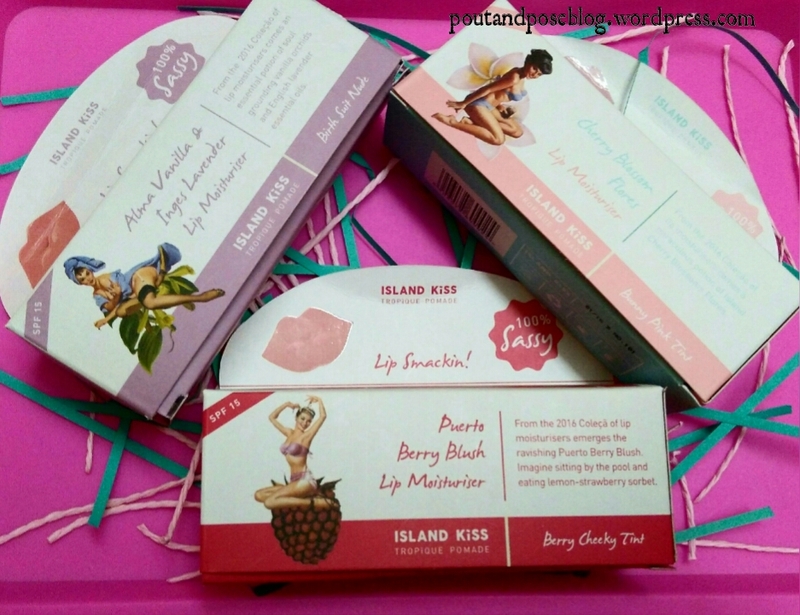 Recently i came across an indian brand called Island Kiss. The people behind this brand are Shaili & Siddhartha who launched their company in goa in 2015. They make organic lip care products that are 100% natural, 100% sassy and have absolutely no nasties! They have recently launched 3 variants of organic lip moisturizers namely Cherry Blossoms flores, Alma vanilla & inges lavender and Puerto Berry Blush. I have been using these lip moisturizers since 4-5 days and i am already in love with these babies. I totally love the packaging of the lip moisturizers. It comes inside a squeezable tube with a screw cap and has a slanted tip applicator which makes it easy to apply & enables smooth application. The tube has designs & colours as per the variants. All the ingredients are mentioned behind the tube. The tube comes inside a cardboard box. The price & best before have been mentioned behind the cardboard box. Cherry Blossoms flores and Alma vanilla & inges lavender are non tinted while Puerto Berry Blush is tinted. Though Alma Vanilla may appear tinted but its clear on the lips. Cherry Blossoms & Alma Vanilla is priced at 399rs each and Puerto Berry Blush is priced at 499rs. Each of these lip moisturizers have their own unique smell & colour. Each of these lip moisturizers are loaded with Tropical Avocado & Mango Butter, Organic Beeswax, Stevia, Organic carrot seed oil, Pure castor oil, Rich Vitamin E oil, Organic Mecademia Nut oil, Citrus oil, Raspberry Seed essential oil, Natural Oragnic Colour. These are hydrating & smooths easily on my lips giving them a glossy feeling & shine. Keeps my lips hydrated for good 2-3 hours. These are very slippery on lips as they contain so many oils so be careful you dont overload your lips. Being slippery they almost sit on the top of my lips & takes time to completely sink in. They are a lot like Vaseline but these are petroleum free. 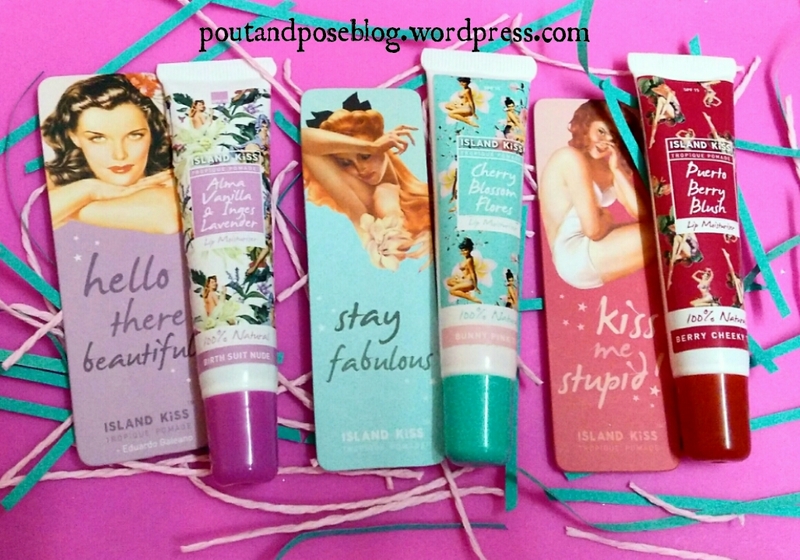 I love all the 3 variants and totally enjoy using these lip moisturizers.